This patio fire pit is not just an outdoor wood burning fire pit, it will also add a unique, artistic charm to any veranda, patio, backyard or cabin. 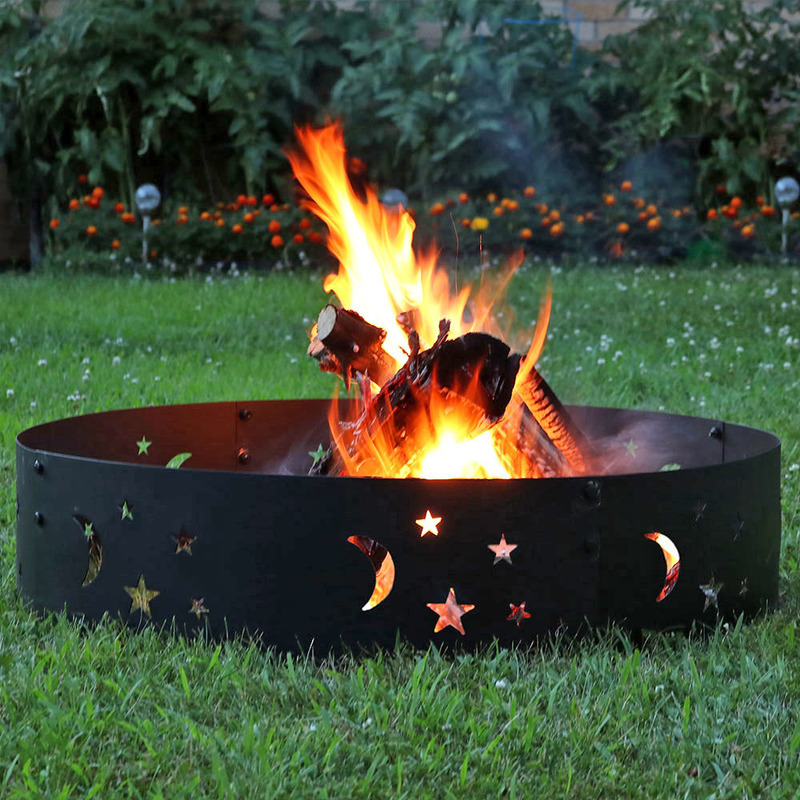 Constructed of durable steel and enamel, die-cut stars and moons accent the large 42" diameter fire pit bowl, which stands on three legs and is encircled by a tubular steel ring that makes moving the pit easy while providing a place to rest campfire tools. The aged/antique "rustic patina" high temperature paint finish matches current yard-decor trends. A protective, black metal mesh spark screen and poker are included accessories; grate strips cast into the body help provide airflow to burning logs. 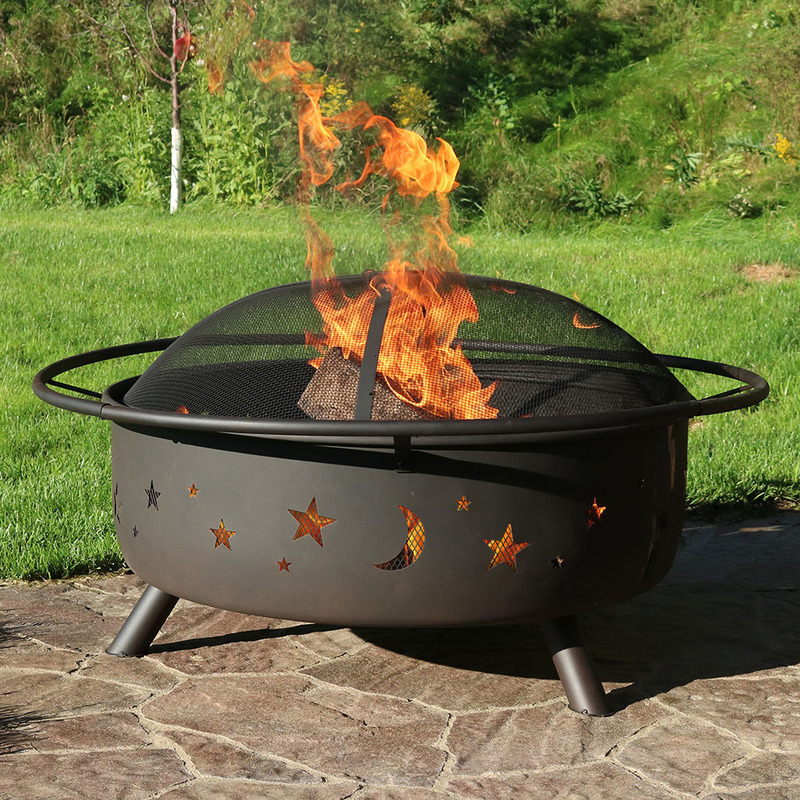 This extra large fire pit works as an outdoor fireplace or heater, and casts beautiful star-and-moon shadows on surrounding surfaces when used after dark, A customer favorite, it nicely matches cosmic and astrologically themed outdoor entertaining/garden areas, and is proudly made by Sunnydaze Decor. 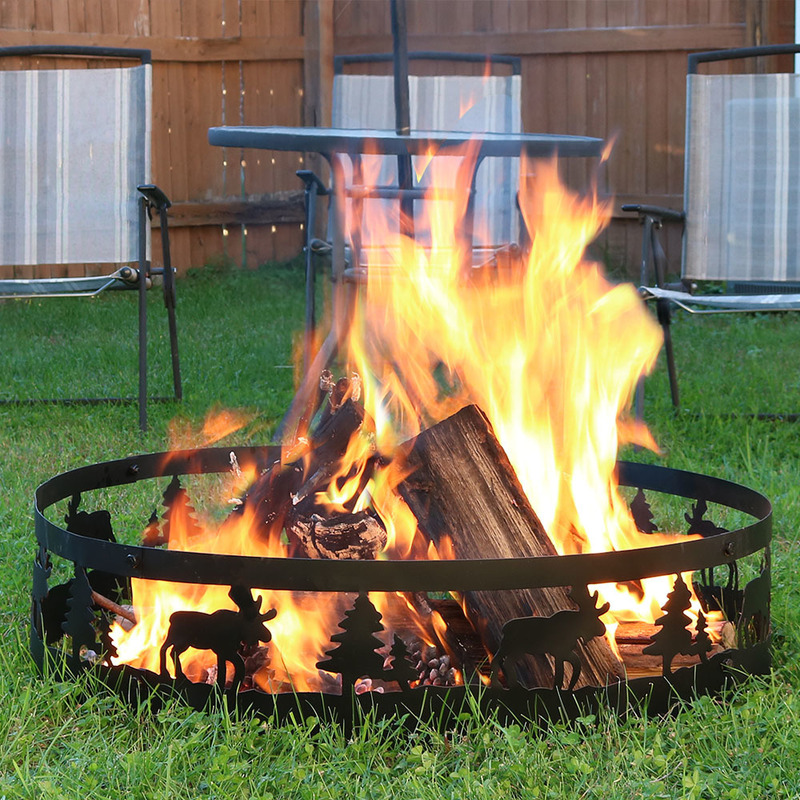 If your patio décor calls for a simple pit bowl to entertain on cool summer nights, this giant fire bowl is the perfect addition to your outdoor collection. Made of durable painted metal, it will endure the elements for years and the 30 inch diameter base is big enough to build a roaring fire to keep warm. 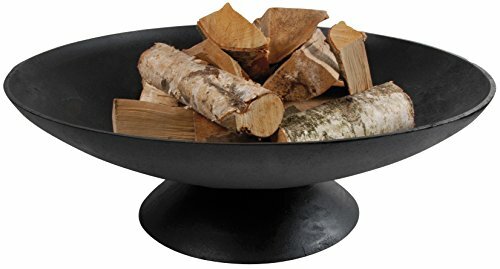 Fire bowl measures 30.9-Inch in diameter and 11-Inch high. This beautiful, portable fire pit is simple to set up and easy to use. It comes in 4 pieces that are easy to attach for assembly. The cosmic cut-out designs on the fire pit are sure to enhance any evening campfire. Whether at a campground or in the backyard, safely contain a fire in style with this fully portable fire pit.